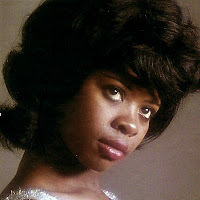 Irma Thomas is an American soul singer. Between 1960 and 1966 Irma Thomas recorded for the Ron, Minit and Imperial labels, scoring two notable hits with "Don't Mess With My Man" on Ron in 1960 (#22 R&B) and "Wish Someone Would Care" on Imperial in 1964 (#17 pop). There were were only ever two albums released under her name during this period (and indeed the whole decade), the Imperial LPs Wish Someone Would Care and Take A Look. Her Minit recordings can be found on this compilation. Those three collections still leave a number of loose ends, which I have gathered together into this thirteen-song compilation. The first four songs are her Ron recordings from 1960, both singles "Don't Mess With My Man" and "A Good Man" (the latter didn't chart), including their b-sides. The next two songs are the A and B sides of a single on the Bandy label. I can't find much information about this small New Orleans label, but it seems it released a lot of stuff originally on Minit, and could in fact just have been a Minit subsidiary. Indeed both these songs were written Allen Toussaint, and it certainly sounds like his piano playing on "Look Up". Whether this single was released before or after her other Minit singles, I am not sure. The last seven tracks are all from her Imperial years, mostly b-sides but with a couple of a-sides which weren't featured on the albums. One of these, "I'm Gonna Cry Till My Tears Run Dry", is surely one of her very best recordings, and "It's A Man's Woman's World", produced by James Brown, was her very last Imperial release.